WHERE HAS THE POETRY OF PETTER DASS BEEN READ? The poetry of Petter Dass seem to have had a broad scope, both geographically and socially. We find traces of his poetry being used all over Norway, Denmark and the Faroe Islands and along the southwest coast of Sweden. Through transcriptions, printed editions and in music, his poetry has reached far beyond the borders of Norway. In folk music, we find his poetry accompanied by a large number of different melodies. 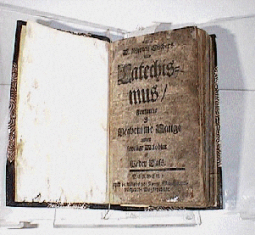 Petter Dass was represented in Landstads church hymnal from 1870. We see that Petter Dass is read by all social strata, from government officials and academics to fishermen and farmers. 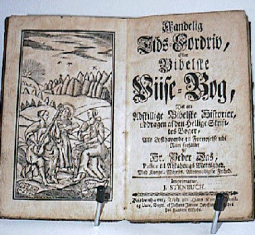 Since the first issue of Biblical Ballads (No. 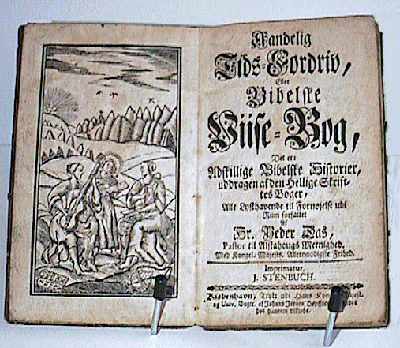 : Bibelsk Visebok) was published in 1711 and throughout the century, Petter Dass writings got published in more than 200 different editions. The Catechism Songs (No. : Katekismesangene) are registered in around 50 various editions, from 1715 to 1840. The volume of editions of Dass’ works exceeds by far the number of editions of works by his contemporary colleagues, such as the the poet Dorothea Engelbretsdatter, Thomas Kingo and Hans A. Brorson. 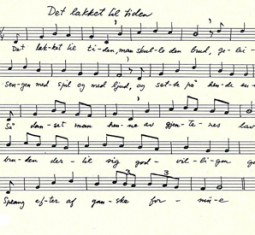 In the folk song tradition, we find more than 700 different melodies and melody variations of Petter Dass’ texts. In Norway, no other writers are used to the same extent as Petter Dass. Petter Dass’ lyrics are sung to melodies throughout Norway, Denmark and the Faroe Islands. For the song about Jephtah’s promise there exists 80 different tunes. 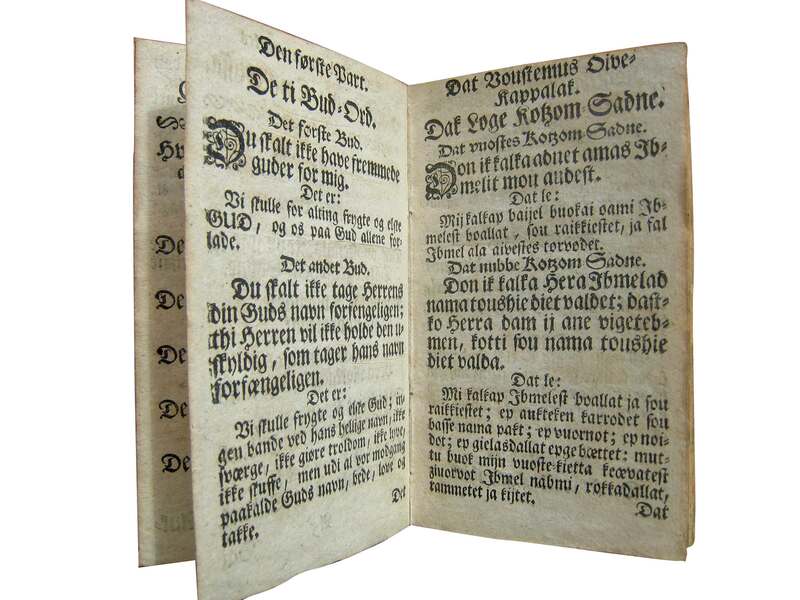 The hymn “Herre Gud ditt dyre navn og ære” (Eng. : “Mighty Lord, to thy dear Name be given”) is registered with more than 50 various melodies. 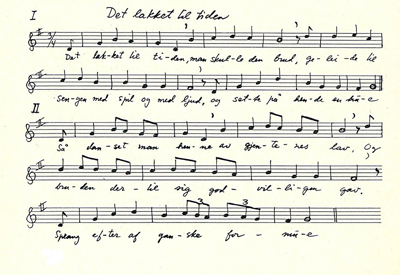 The songs and poems of Petter Dass have been used on many occasions, also in ceremonial contexts. We find examples of this both in Norway and the Faroe Islands. The topographic poem The Trumpet of Nordland (No. : Nordlands Trompet) is one of the central works of Petter Dass. In 1954, St. Olaf ’s College Press published this English translation of the poem by professor of Norwegian literature Theodore Jorgenson (1894-1971). Petter Dass’ descriptions of the people and nature of Northern Norway is accompanied by the illustrations of Norwegian painter Thorolf Holmboe (1866-1935). After decades of being available only through libraries and second hand book shops, The Trumpet of Nordland was republished in November 2015 by the Petter Dass Museum and Helgeland Museum, with the permission of St. Olaf ’s College. For the 2015 edition, Professor Emerita of Norwegian Literature at St. Olaf’s College, Solveig Zempel, has written an explanatoric introduction for those wanting to learn more about the life and works of Petter Dass. The book can be purchased from the Petter Dass Museum. Click for product details and order information. Some other poems and songs of Petter Dass have also been translated to English. 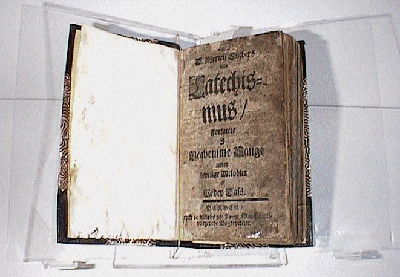 Several different translations of selected verses of the hymn “Herre Gud ditt dyre navn og ære” are found in various editions of the hymnal of the Evangelical Lutheran Church in America. 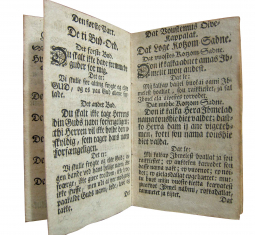 A selection of hymns from the Norwegian Hymn Book 2013 (Hymns in English) also includes a translated version of the Norwegian hymn “Om alle mine lemmer”, “If all my body’s members”.